Attention Saratoga shoppers! On April 11th, the Saratoga Downtown Business Association’s inaugural Spring Shopping Spree will take place in Downtown Saratoga Springs, with 30 local businesses offering deals, discounts and prizes from 4-8pm, all while collecting donations for Wellspring, Saratoga’s resource for victims of domestic violence and sexual abuse. The event’s goals are twofold: encouraging locals to shop at small businesses and to support the mission of Wellspring. Varying discounts will be offered at participating businesses, including 20 percent off the Accessory Boutique at Something Bleu Bridal, 15 percent off at Northshire Bookstore and 20 percent off everything at Lucia. The 30 stores will be giving away swag bags to the first 300 customers and will host in-store raffles for additional prizes. Though all the day’s proceeds go to Wellspring, each shop will be collecting donations in its own way. For example, at Lucia, a donation to Wellspring enters you into the boutique’s raffle for a $50 gift card, and at Northshire, you can round up your purchase (on the day of the spree and for the whole month of April) to the nearest dollar, with the change going directly to Wellspring. All sales will end at 8pm, when shoppers are invited to attend a dinner at Wheatfields. Exclusive food and drink specials will be available there, and at dinner, the winners of the in-store raffles will be announced, followed by a chance for shoppers to win a parking space Downtown for the months of May, June and July, as well as a one-night stay at The Adelphi Hotel. The Spring Shopping Spree is a collaboration between local businesses and organizations to give back to the Saratoga community. 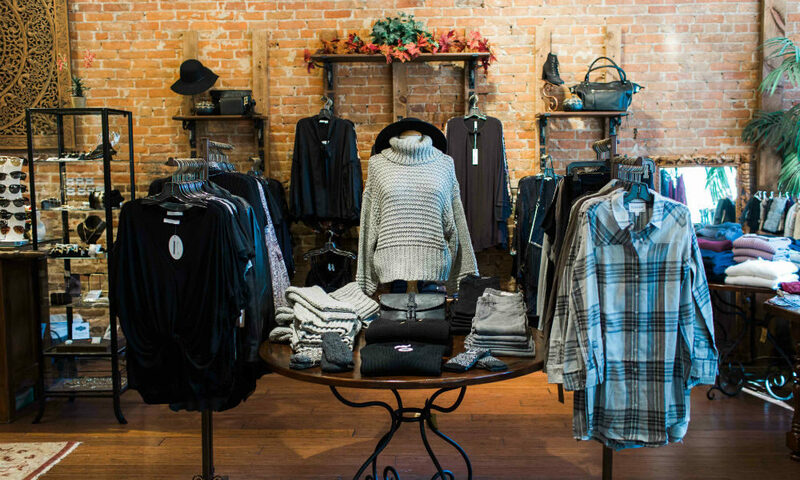 “The event is a perfect way to encourage our local community to shop Downtown, support our locally owned businesses and support a great cause such as Wellspring,” says Lucia Owner Lucy Moran. It also has the potential to expand the customer base of independently owned Downtown stores, adds Something Bleu Bridal Co-Owner Kathryn Metzler. “I think it’s important for everyone to be involved in these types of events so that we can all support each other,” says Metzler. For more information and for a complete list of participating stores, click here.